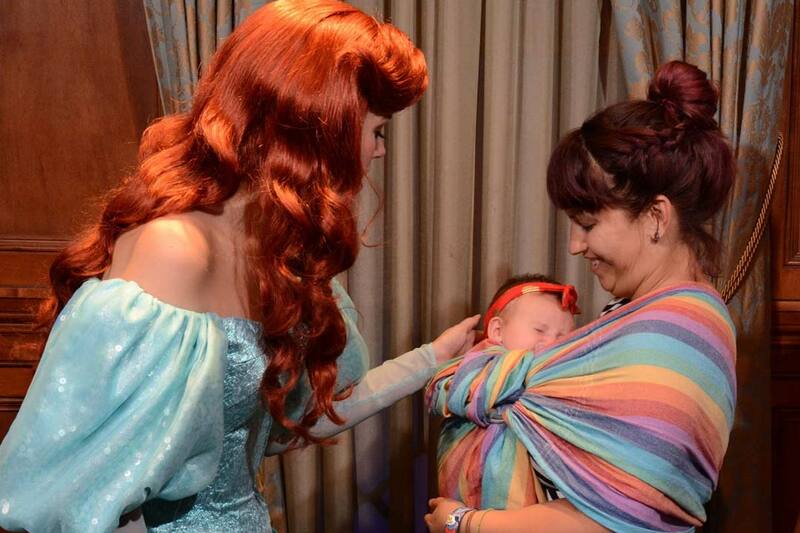 First and foremost, if you are not into babywearing or haven’t done it much before, Disney is not the place to kick if off. It can be hot and tiring to carry around your baby because you are adding extra weight and fabric. It can also be extremely helpful and convenient though. No strollers in line for these Princesses! 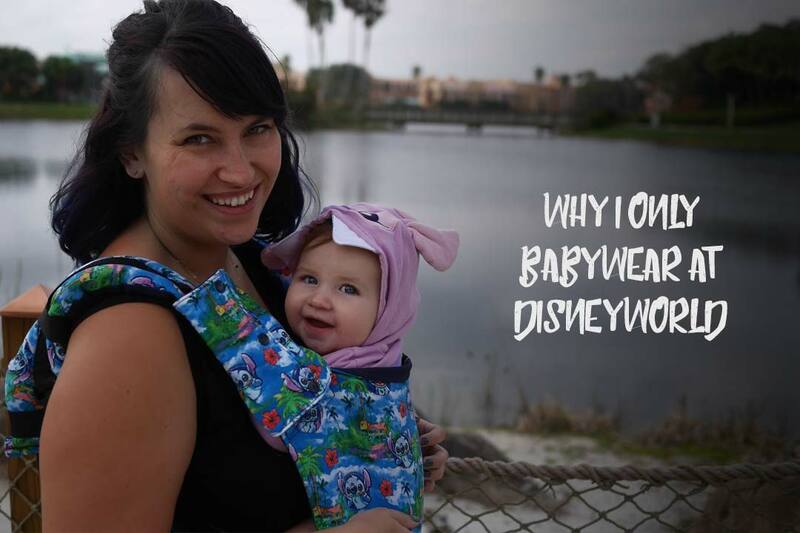 Babywearing to the rescue! I am in a lot of lines or going to restaurants - not sitting around in the parks. Strollers can’t go in lines. If you plan on spending most of your day in lines for rides or characters or at restaurants, a stroller isn’t going to be allowed in. Wearing your baby takes out the time to park your stroller, get all your belongings out, and then do it all over again when you need to move. Note: The only situation a stroller is allowed into a restaurant is if a baby, like infant baby, is sleeping. And that’s only if the space allows - if the restaurant is full they may turn that request away. I move around a lot! You are at Disney - that’s a given. Let me tell you from my few experiences with a stroller, if you want to navigate Food and Wine or need to push through the beginnings of a parade crowd, that stroller is going to be your worst enemy. Having a baby close to you means you can get through crowds without worrying as much about your baby getting smashed into someone. It also means you can get through, period. I only carry what is necessary. I won’t lie, I stuff my backpack pretty full of stuff (I’ve carried an extra pair of shoes and multiple camera lenses in the diaper bag before). But I don’t carry as much as I see a lot of others I carry what I need and nothing more than can fit into our one diaper bag. We utilize a laptop backpack for our diaper bag. This works well. Because I have a past as a bag designer, we have a plethora of backpack samples from my old job to choose from when going to the parks. I highly suggest a backpack. Things get stolen at Disney. It’s not crazy often, but it happens, especially if you have a nicer bag to target. My husband hates wearing our daughter for long periods of time in Orlando because they become a sweaty hot mess. Even with airy, mesh carriers like the lillebaby airflow, that skin to skin contact in the hot sun can get hot. We combat with stroller fans and breaks in air conditioned buildings, but there’s nothing like getting stuck in line for a character in the sun in Magic Kingdom to possibly make you swear off wearing ever again. Be prepared with stroller fans, cooling towels, and wear cool clothes - both you and baby! 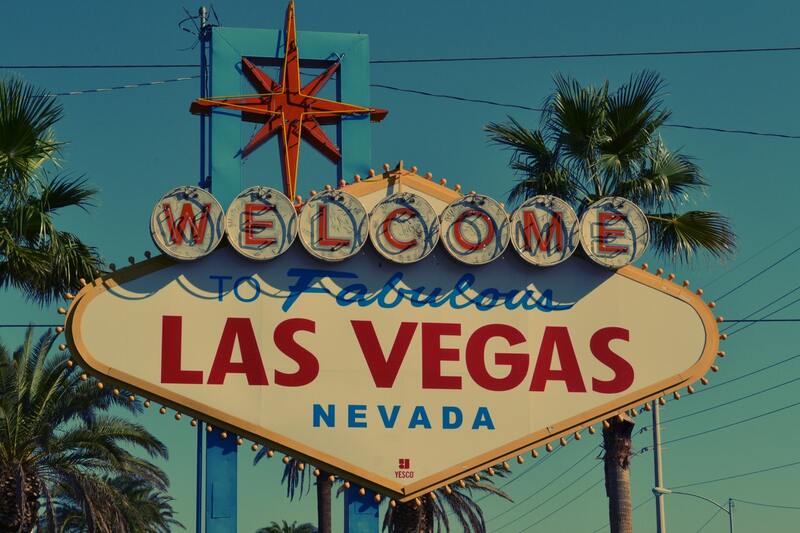 The tram, the monorail, the bus - you name it! It’s all possible with a stroller, but let me tell you, collapsing a large stroller, even an umbrella, in the small amount of time you have can feel overwhelming. It’s much nicer to just walk on! 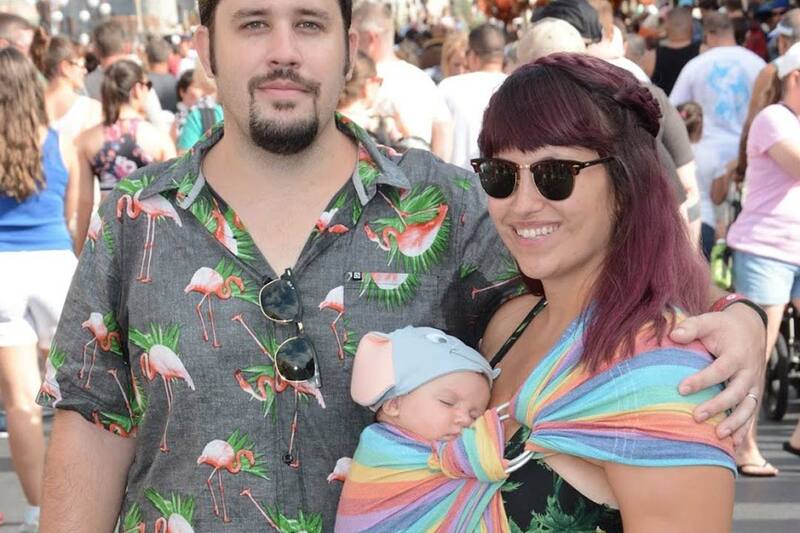 If you choose to try babywearing only, I wish you luck. 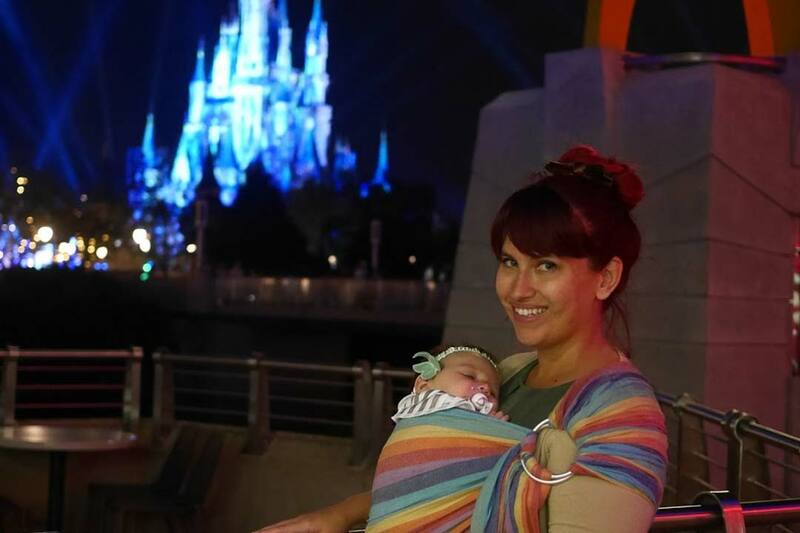 I find it wonderful and look forward to bonding with my daughter in the parks while babywearing.